An emotional wedding haka has brought a bride to tears and caused her husband to ditch his blazer and join in. 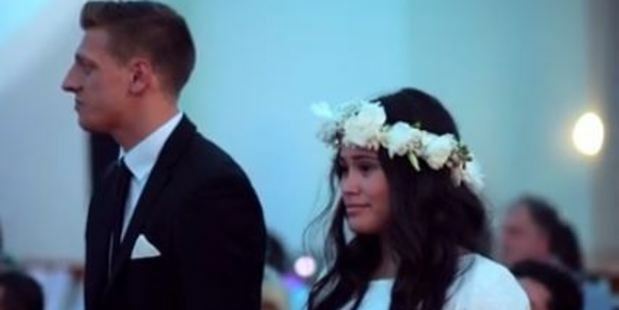 Video of the haka at Benjamin and Aaliyah Armstrong's wedding reception has been viewed almost six million times on the "I'm Proud to be Tongan" Facebook page. The video shows a large group of wedding guests performing the haka in front of the newlyweds. Mrs Armstrong breaks down in tears early on, before her husband takes off his jacket and passionately joins in. Mrs Armstrong then follows suit, taking part in the haka herself. The video ends with the couple embracing the guests who performed the haka.